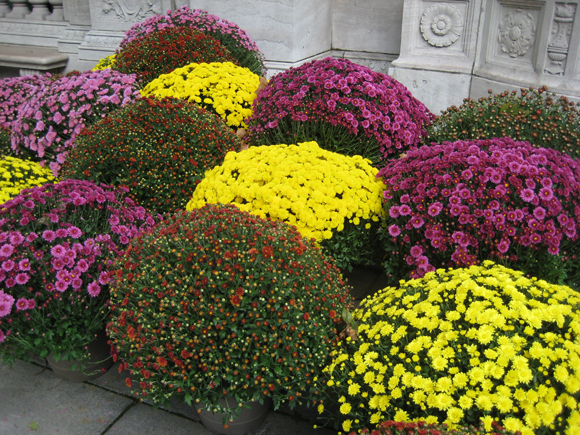 Before the leaves fall from the trees, the Fall season is heralded by the rich tones of chrysanthemums in the park. 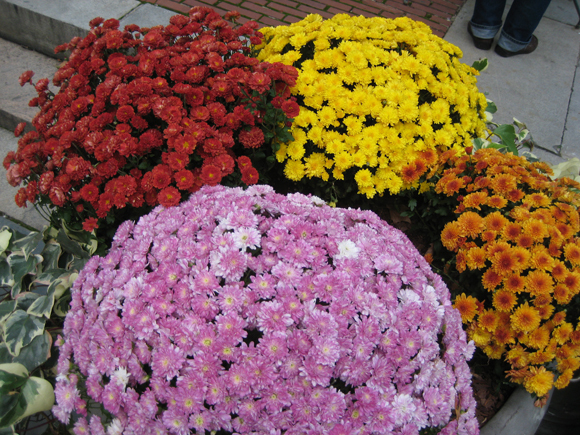 These hardy blooms are perfect as the weather cools, as they tend to withstand lower temperatures than other flowers. 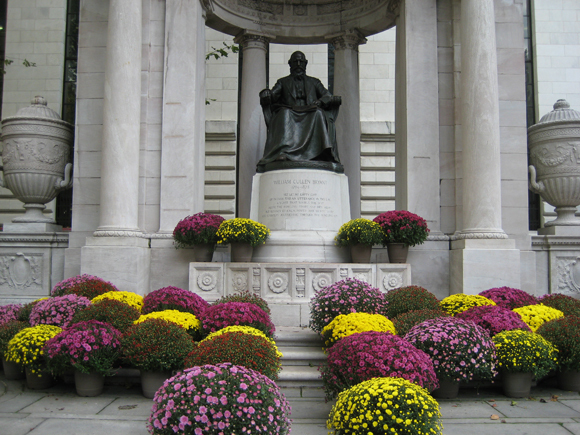 You'll find them popping up all over the park this time of year, and most are in full bloom now. 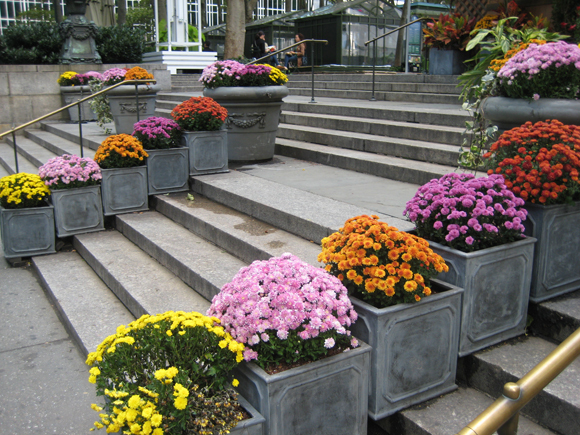 See them spilling down the stairs at the 6th Avenue entrance to the park, or mixed in with plantings held over from the warmer months in front of the Bryant Park Grill. 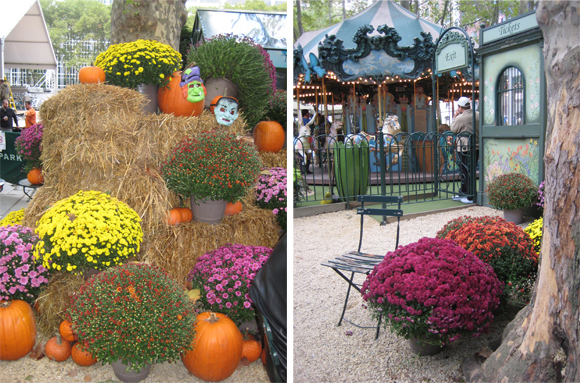 Le Carrousel is decked out with mums and pumpkins, in preparation for the Halloween Party next weekend. 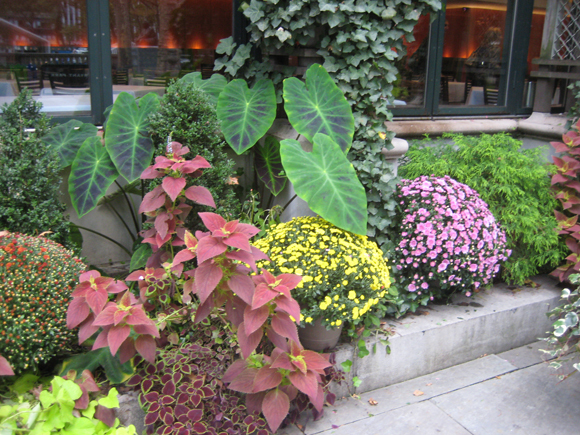 Did you know we often store flowers waiting to be planted in plain sight? We like to display them until we're ready to use them. 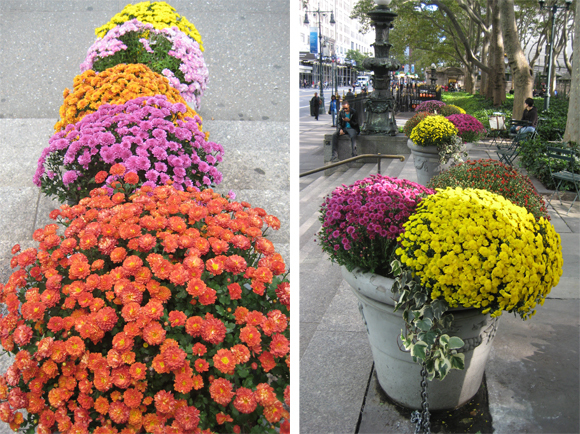 Get in the fall spirit with a stroll through the park, and go mum spotting while you're here. See how many different colors you can find. Meyer Berger, NYTimes writer 1940s&50s, claims the 'mums were planted by seed by a woman he dubbed Annie Appleseed (Mrs. Albert D. Lasker). True? Yes, that is true! From our horticulturist, Maureen Hackett: "Yes this is true and not sure if the cuttings are still grown in the Queens greenhouses of NYC Parks. Used to be back in 1980's..."